What's New: New website design... Our Passion is Making Your Dream Wedding Come True! New website design... Our Passion is Making Your Dream Wedding Come True! Welcome to the enchanted islands of Hawaii. Swaying coconut trees, white sandy beaches, moonlit walks... Joyous wedding couples. 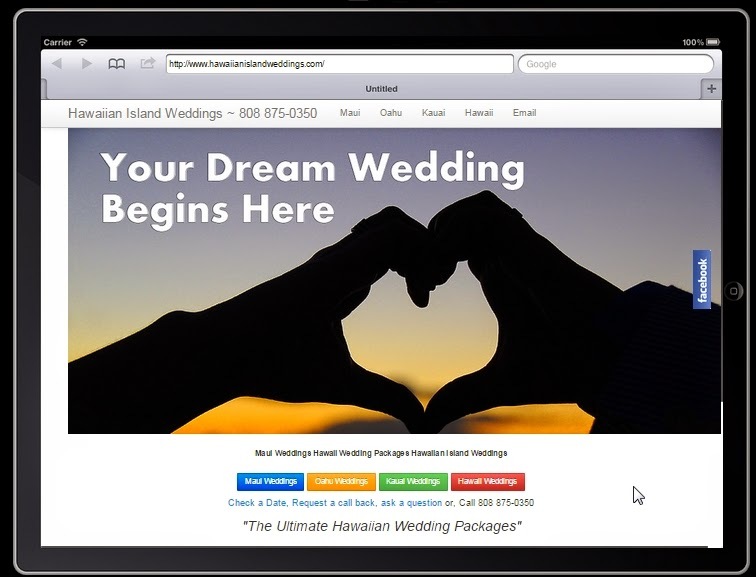 Hawaiian Island Weddings has the most complete information on weddings here in Hawaii. With over 30 wedding packages on all four major islands, we know we have a package to suit your needs and budget. If you can wish it, we can make it come true on Maui, Oahu, Kauai or Hawaii.